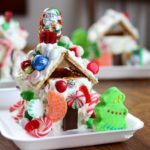 This gingerbread house with graham crackers I’m going to show you today could not be more suited for kids, school classrooms and all around fun traditions during the holidays. My mom gave me the “how to” tutorial on making these last week and I was amazed at how sturdy they are. 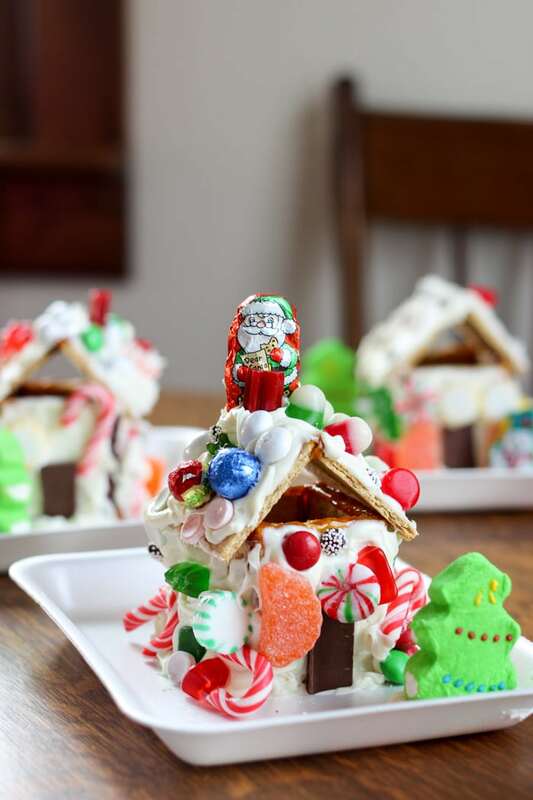 If you’ve made a gingerbread house with younger kids you know how hard they push those little candies into place and we’ve had a few episodes of tears in past years when the house starts to crumble. Literally and figuratively. No more. These houses are indestructible – to a point. Obviously, I wouldn’t go throwing them across the room. Shatter they will. However, the construction of the graham crackers uses melted sugar which make these babies stick together like glue within seconds. 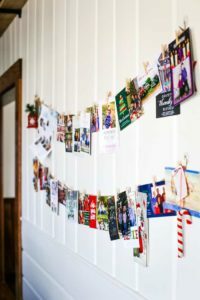 If you’re making a craft for your child’s classroom, these are perfect as you can make the gingerbread houses ahead of time and easily transport them. In fact, that’s where this idea came from. My mom was an elementary school teacher and she made these every year for her students. 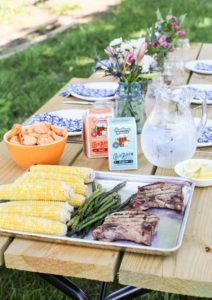 Completely edible (no yucky milk cartons) and the perfect size for kids. 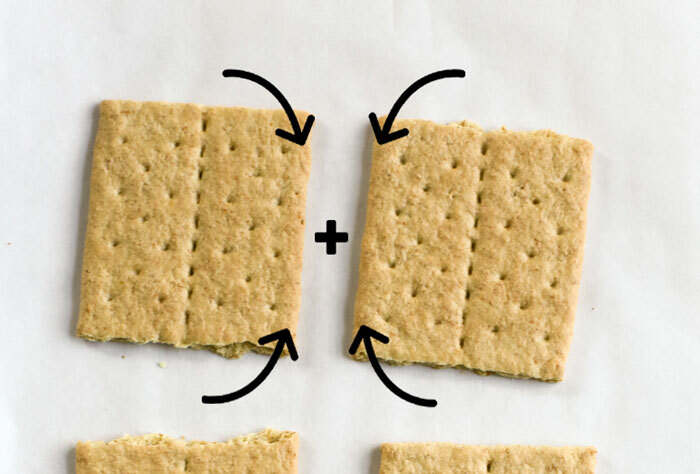 Start by laying out your graham crackers so you’re ready. Unfortunately, not every single graham cracker in the box is going to come out looking pretty so you need to sort through them. For one basic house you will need six half size graham crackers like you see above. 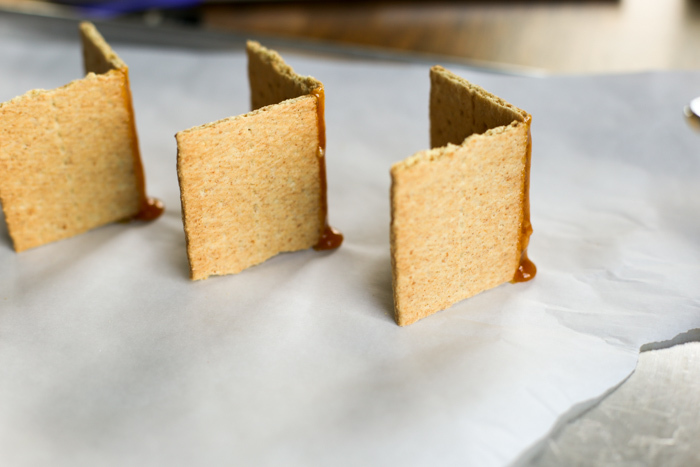 Once your graham crackers are prepped, you’re ready to melt the sugar. You don’t need anything but sugar which is what makes this so easy. Stir continuously over low to low-medium heat until the sugar completely melts. I used about one cup of sugar in a smaller pot. 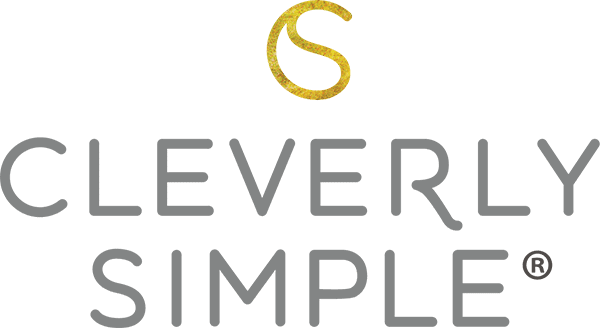 The sugar will start to crystallize first – just keep stirring. It took me about five minutes to completely melt the sugar. Once melted, remove from the heat. Keep in mind the sugar will start to harden immediately, so if you’re making quite a few houses you’ll want to warm it up intermittently as you go along. Don’t keep it over the heat the entire time as the sugar can start to burn. You will know when that happens – it’s a lovely smell. *Melting and working with melted sugar is for adults only. The sugar is very hot and sticky. You do not want to burn yourself. Please be careful. The first step is to dip two edges of each pair into the melted sugar. 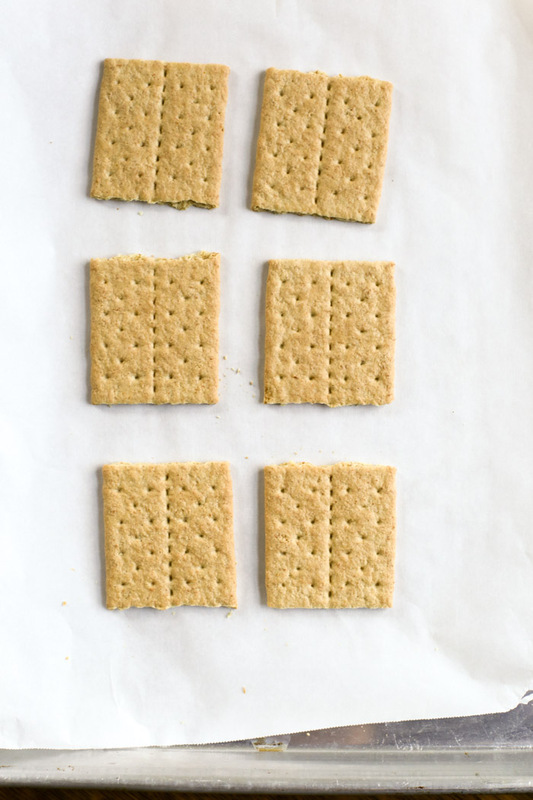 As you can see above, you want the same size of each graham cracker square to be dipped so that they match in length. Once you do that, you’ll have three right angles. The sugar will cool very quickly so that you’re ready for your next step! Dip the bare two edges of two of the right angles into the melted sugar to combine to make a square. Leave the third right angle alone. Now dip the top of the square into the melted sugar and place the roof (the other right angle) on top. That’s it! You now have your gingerbread house ready to decorate! 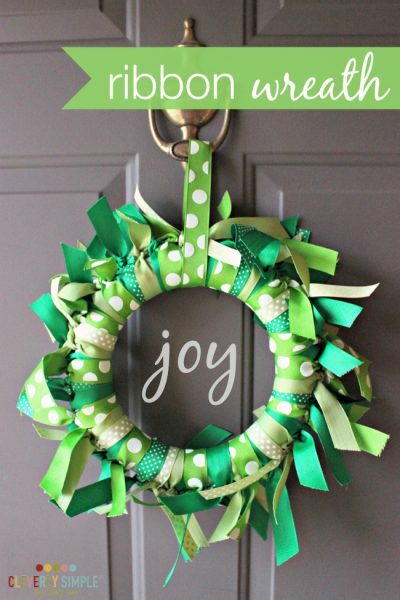 All you need now is some icing and candy to complete your house! We used the icing I shared about here and it worked great (and was super easy!). You can also use my sugar cookie icing which I used the next day when I made a few more of these to photograph for you. My sugar cookie icing is a little less thick so it gives more of the falling snow look and needs to be applied thin. 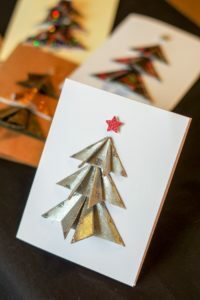 If you’re looking for a super simple project to work on with the kids this holiday season – this is a great one! 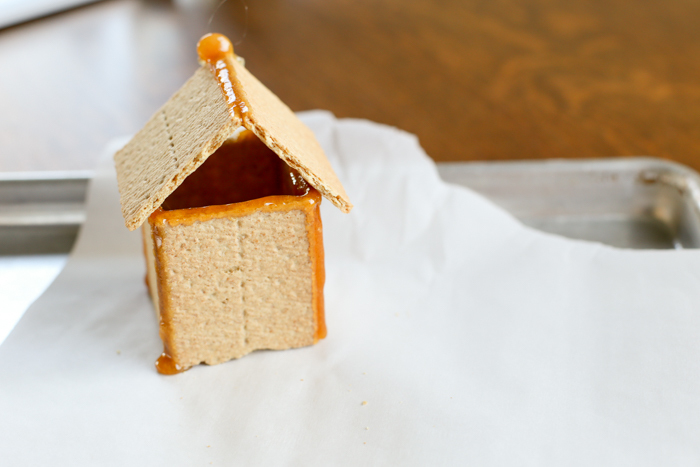 You can prep the gingerbread house made with graham crackers ahead of time so that the kids can have all the fun! 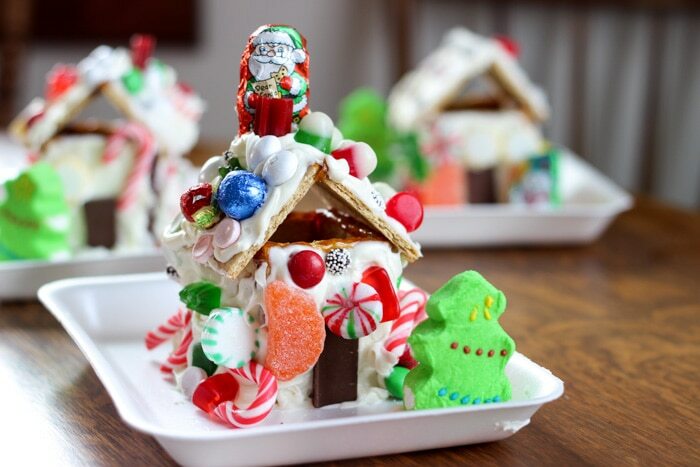 Gingerbread house made with graham crackers using melted sugar to hold them together! 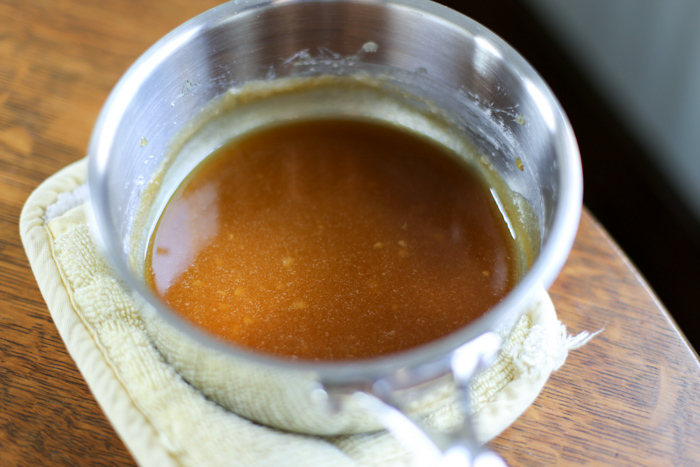 Melt sugar over low to low-medium heat. Stir constantly. 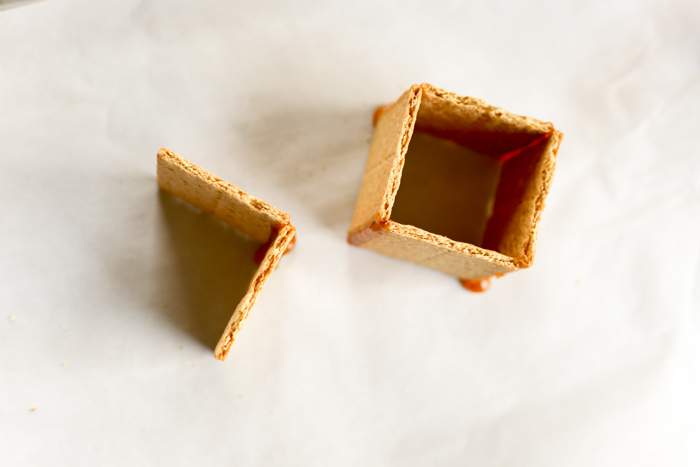 Dip the one side of each graham cracker square to form three right angles. Dip the sides of two right angles into the melted sugar to then form one square. Dip the top of the square into the melted sugar. Then place the third right angle onto the top to make the roof. Be very careful using the melted sugar! It is very hot and will burn. I recommend only adults do this process. 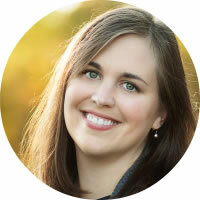 If making multiple houses, place the sugar back on the stove intermittently to keep the sugar from cooling completely.